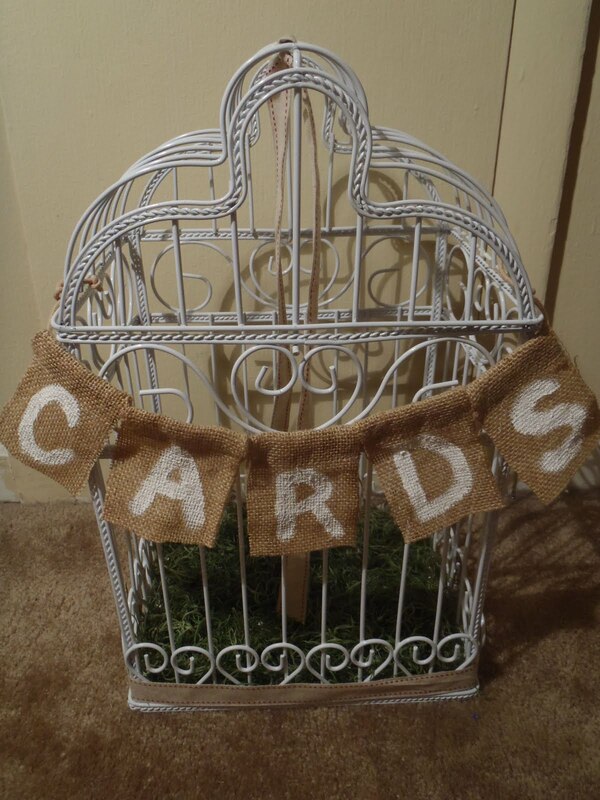 My friend HaLeigh is getting married in September and she created this card cage for her guests. 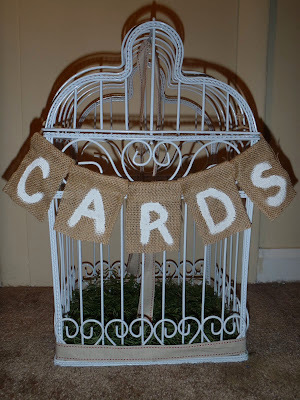 I got her to share with us how she did it and send some photos! 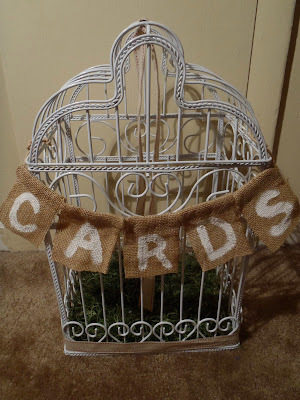 My fiance found the cage thrown out (but not all gross and trashed up or anything) and we cleaned it off for our card cage. I wanted to dress it up, so I glued some faux Spanish moss to the bottom, wrapped a ribbon around the bottom and looped another section of it through the top to hang in the middle. 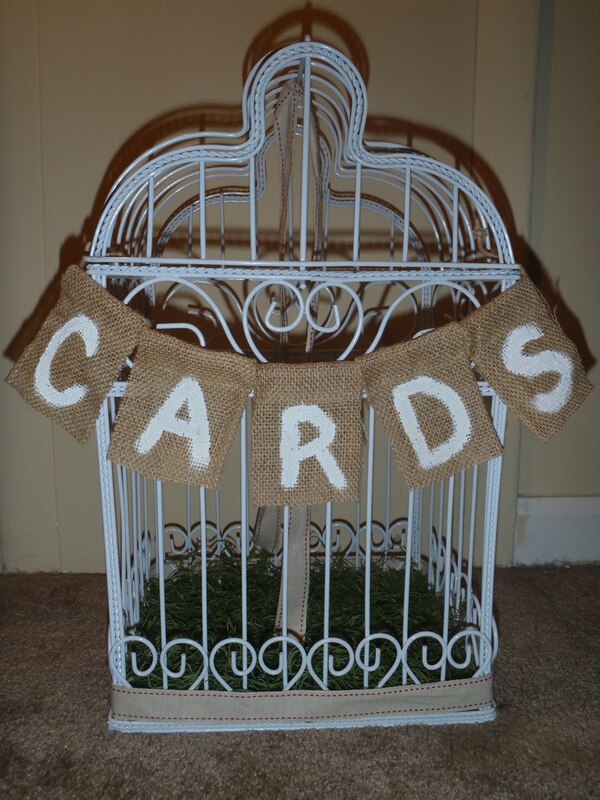 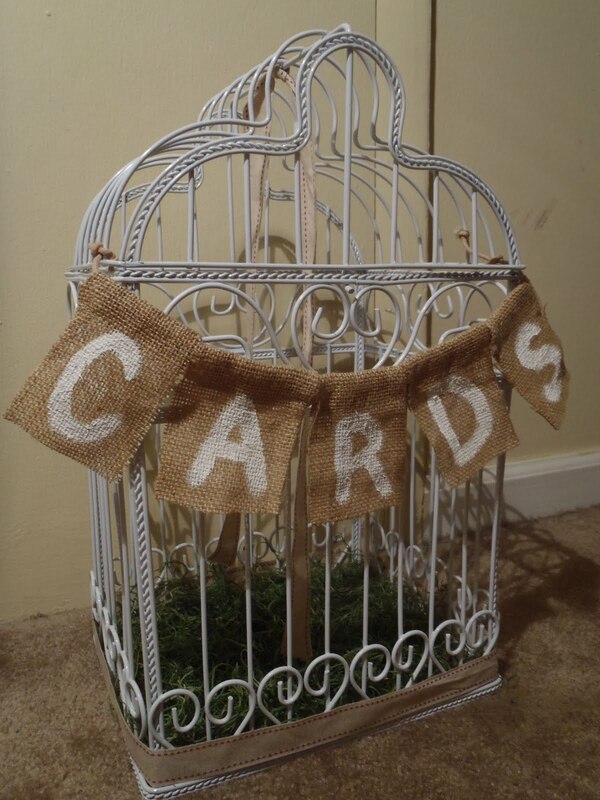 The banner is made from burlap bags which I cut to size and painted the letters on, and tied onto the cage! 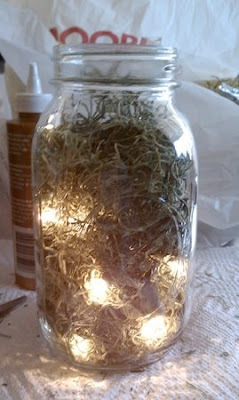 Did you make something creative? I'd love to see it!